Robey and the Dentist by Edward Saunders is a very special book for many reasons. Firstly, Edward wrote it when he was only 11 years old and in his first year at secondary school. The story was inspired by a teacher who asked the class to write a bedtime tale for his own little boy, Robey. It was Edward’s dream to one day become a published author. Very sadly, he was robbed of that chance when at the age of 18 Edward contracted meningococcal group W (MenW) and died. Edward’s mother, Tracey Saunders, and his family were determined to make Edward’s dream come true. With hard work, determination and a successful bid for crowd-funding they’ve finally succeeded in publishing Edward’s story. When Tracey decided to publish the book with the support of crowd-funding she turned to Kickstarter, to raise her target of £5k. She was touched and amazed by all the support she received and raised more than £10k in only 30 days. In the last five years the incidence of Men W has increased fivefold. Tracey has warmly welcomed the recent announcement by the Department of Health that it will be offering the vaccination against MenW to all 17 and 18-year-olds from August 2015. As a result, she hopes that other families will be spared the shock and trauma that her family went through when they lost Edward in a matter of hours. Tracey is delighted that a copy of Robey and the Dentist will be in the British Library and she is planning to send a copy to Prince George and Princess Charlotte. Why did Edward write about going to the dentist? Tracey has no idea. But children who read the book will get a positive message about cleaning their teeth and that will all be part of Edward’s legacy too. 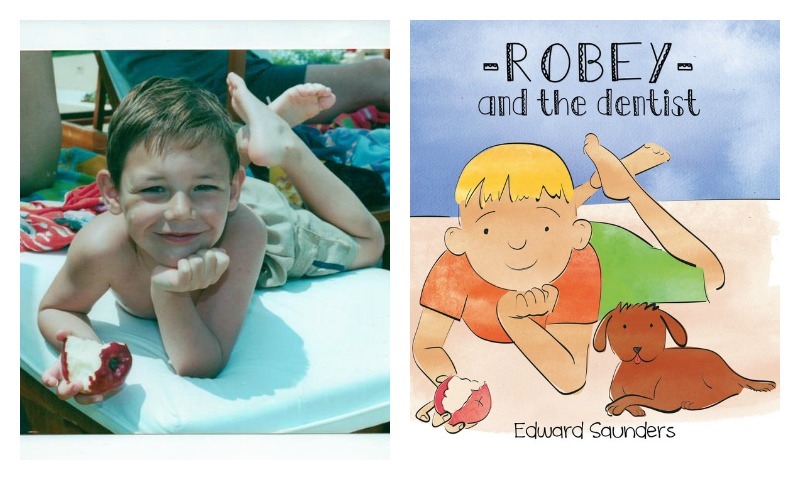 Publication of Robey and the Dentist has enabled the Saunders family to ensure that their dearly loved son and brother leaves a lasting literary legacy, whilst at the same time raising money for the fight against meningitis – with all the profits going to the leading meningitis charity in the UK, Meningitis Now. 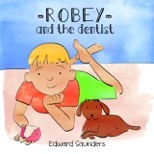 Robey and the Dentist is available, priced £7.99 with free UK postage (and a free book bag whilst stocks last), from the dedicated website – http://www.robeyandthedentist.co.uk – where there’s lots of other information too. Order your copy of Robey and the Dentist and help fight Meningitis here. Tags: legacy, meningitis, MenW. Bookmark the permalink.